Che Guevara was a dashing rebel whose epic dream was to end poverty and injustice in Latin America and the developing world through armed revolution. 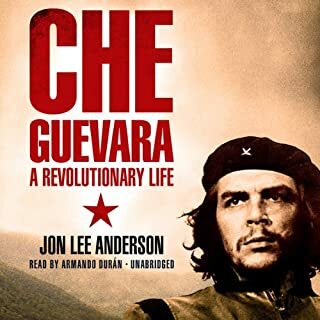 Jon Lee Anderson traces Che's extraordinary life from his comfortable Argentine upbringing to the battlefields of the Cuban revolution, from the halls of power in Castro's government to his failed campaign in the Congo and his assassination in the Bolivian jungle. Imperialism, the Highest Stage of Capitalism by Lenin, describes the function of financial capital in generating profits from imperial colonialism, as the final stage of capitalist development to ensure greater profits. The essay is a synthesis of Lenin's modifications and developments of economic theories that Karl Marx formulated in Das Kapital. 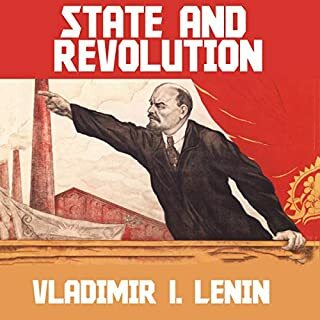 Lenin's book greatly influenced the Core-Periphery model of global capitalist development, as well as World-systems theory and Dependency theory. By: Joshua Bloom, Waldo E. Martin Jr. In Oakland, California, in 1966, community college students Bobby Seale and Huey Newton armed themselves, began patrolling the police, and promised to prevent police brutality. Unlike the Civil Rights Movement that called for full citizenship rights for blacks within the US, the Black Panther Party rejected the legitimacy of the US government and positioned itself as part of a global struggle against American imperialism. Havana Nocturne takes listeners back to Cuba in the years when it was a veritable devil's playground for mob leaders Meyer Lansky and Charles "Lucky" Luciano. Thanks to strong ties with the island's brutal dictator, President Batista, the mob soon owned the biggest luxury hotels and casinos and launched an unprecedented tourist boom. But their dreams collided with those of Fidel Castro, Che Guevara, and others. Neoliberalism - the doctrine that market exchange is an ethic in itself, capable of acting as a guide for all human action - has become dominant in both thought and practice throughout much of the world since 1970 or so. Writing for a wide audience, David Harvey, author of The New Imperialism and The Condition of Postmodernity, here tells the political-economic story of where neoliberalization came from and how it proliferated on the world stage. In The Double Life of Fidel Castro, one of Castro's soldiers of 17 years breaks his silence and shares his memoir of years of service, and eventual imprisonment and torture for displeasing the notorious dictator, and his dramatic escape from Cuba. Responsible for protecting the lider maximo for two decades, Juan Reinaldo Sanchez was party to his secret life - because everything around Castro was hidden. The people of Cuba struggled against immense odds to emerge victorious from years of brutal dictatorship and poverty in 1959. This is Che Guevara's classic eyewitness account of the transformation of a country and also the transformation of Che himself - from a troop doctor to a revolutionary leader, who would become one of the greatest icons of the 20th century. ‘It was a sweet finish after the bitter pills of floggings and bullets with which these same governments, just at that time, dosed the German working-class risings’. The Communist Manifesto is, perhaps surprisingly, a most engaging and accessible work, containing even the odd shaft of humour in this translation by Samuel Moore for the 1888 English edition. For decades, people have tried to persuade the leader of the Cuban Revolution to tell his own life story. Ignacio Ramonet, the celebrated editor in chief of Le Monde diplomatique, has finally succeeded. For the first time, in a series of extensive and probing interviews, Fidel Castro describes his life from the 1950s to the present day. In frank and compelling detail, he discusses his parents and his childhood, his earliest influences, the beginnings of the revolution, his relationship with Che Guevara, the drama of the Bay of Pigs and the Cuban Missile Crisis, the Jimmy Carter years, Cuban migration to the United States, his dealings with successive American presidents from Dwight D. Eisenhower to George W. Bush, and his relationship with such controversial leaders as Saddam Hussein and Hugo Chavez. Along the way, Ramonet challenges Castro to discuss his views on a number of controversial questions, from human rights and freedom of the press to the repression of homosexuality and the survival of the death penalty in Cuba. This book will stand as the definitive record of an extraordinary life lived in turbulent times. First, I am not pro-Castro. However, having spend some time in his Cuba I was interested in what this head of state had to say. I wanted to get a glimpse of Castro the man. "Fidel Castro: My Life" has gotten me about as close to the man as I could get. 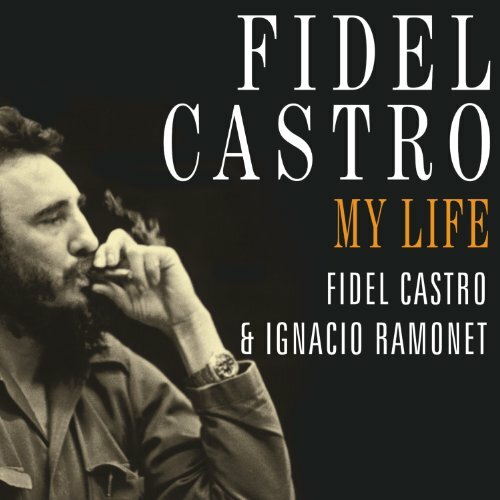 Ignacio Ramonet has spent over 100 hours interviewing Castro. Those thoughts are contained here. The book follows a Q&A format which is helpful. The prose is polished and well read by two readers. One reads the questions and the second plays the part of Castro. Whatever your attitude toward the Revolution, this book is very interesting. The stories, even from Castro's perspective, are engaging and informative. The book has a rather lengthy introduction. If you are pro-Revolution, you will be rewarded. If you are anti-Castro, you might not continue the book. I was a little put off, but greatly rewarded for continuing on and opening my mind to the narrative. The introduction is also helpful and should not be skipped because Ramonet details his interview and writing methodology. Listen to the book if you believe it is fiction. Listen if you believe in Castro. What made the experience of listening to Fidel Castro the most enjoyable? This book is written as an interview conducted with Castro over several weeks in the mid-2000's. The narrators both have neutral American accents and makes for easy and enjoyable listening. From the failed attack on the Moncada Barracks to the Sierra Maestra to Cuban Missile Crisis to the fall of the Soviets the author (not Castro) gives a meticulous engineers' diagram of the situation in Cuba. 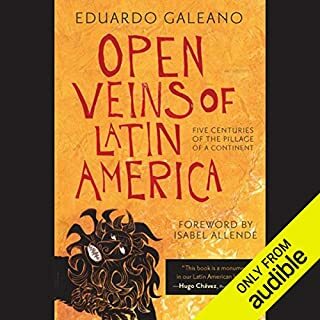 I listened to this book while on holiday in Santiago de Cuba and found Castro fascinating: his restraint, resolve, moral vision are inspiring and I think that history will judge him to be one of the towering figures of his century. great book about the legendary leader! read, listen to learn many truths about Fidel, el Comandante! and narration is well-done, engaging and flowing. Fidel Castro sets the record straight - removing the patent falsehoods perpetuated by the US government and the Cuban "exile" community in Miami. He tells the truth about events we in the US never hear about - US financed terrorist attacks, assassination attempts, biological warfare and, lets not forget, a cruel economic blockade that is odd - considering how the US kowtows to China(a country that has slaughtered MILLIONS). You'll have a very different view of the phony "war on terror" when you learn of what the US government has done to Cuba over the past five decades. Forget the lies of those with a vested interest in having a Cuba that is nothing more than a playground for the wealthy elite of the US. 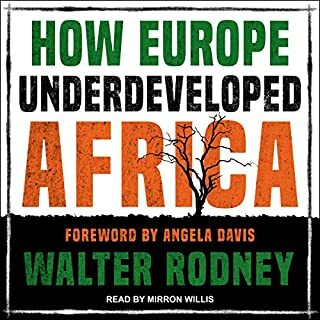 Compared to the books written by US politicians(which are generally never more that campaign publicity), this book is breathtakingly frank. If you want to know the quality of a politician, see how often they admit to their mistakes - or take the blame when something goes wrong. They rarely do, but Fidel Castro does. 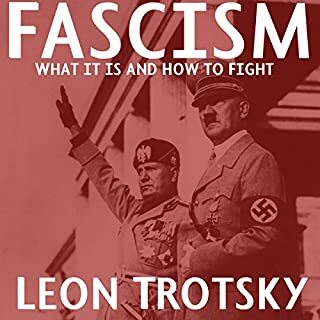 This book sets the record straight - which is something we direly need in an era of US Nazi-style propaganda. 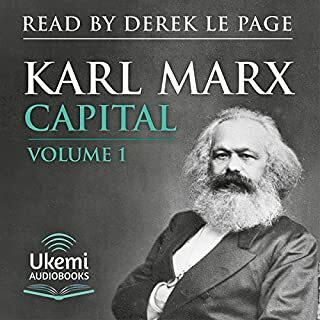 The audio book is like Fidel is speaking right next to you. I enjoy the insights provided by this amazing revolutionary hero. A fantastic historical work, the dialogue with and facts contained and is recalled so easily by Fidel highlights what a truly great mind he was. It points to the tragedy that various US administrations and the Miami mafia have spent so much effort to paint him and the Cuban people in a bad light. The narrator for Castro's voice could not pronounce many of the Spanish words which was a bit annoying. I really enjoyed it. Very informative. It is most distracting that the narrators obviously have made no attempt to learn how to pronounce Spanish, particularly proper names. For the most part their pronunciations are merely grating, but in some cases their pronunciations render names of people and places actually unrecognizable. Although distracting, this detracts from neither the value of the content nor the clarity of the English in the narration. Excellent read of a legend who made significant mark in the pages of world history. In spite he was a head of state from tiny island, his fame and influence spread all over the globe. His remembrance of Cuban revolution and his involvement in his country's day to day affairs really showed, how involved he was in the development of new Cuba. This book dispels the propaganda by the western media about Cuba and Fidel. Thanks for producing an important historic document. I am very glad, I read this book.